Boston Seaport has its very own post office. 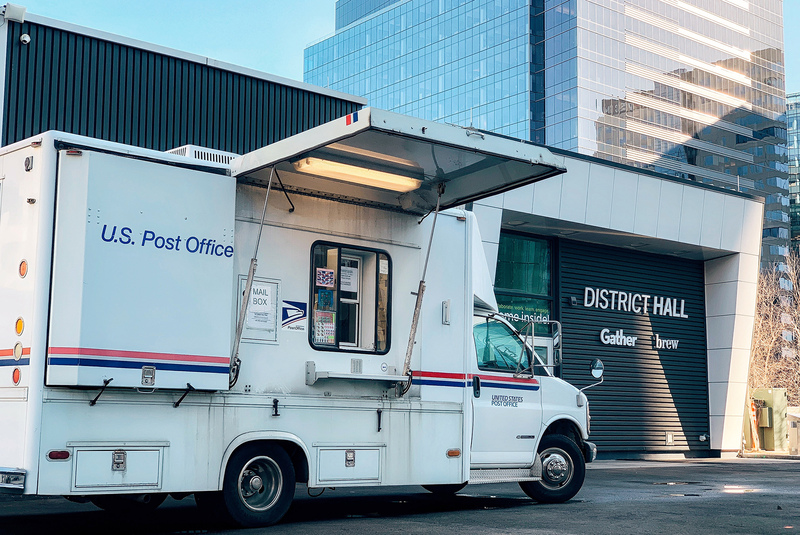 The USPS mobile truck has all of the functions of a full-service post office on wheels. The truck is open four days a week in front of District Hall. Mail and ship, buy stamps and supplies, and fulfill all of your postal needs.